Superb craftsmanship of designs exhibited in this trendy maroon-black colored long kurti. 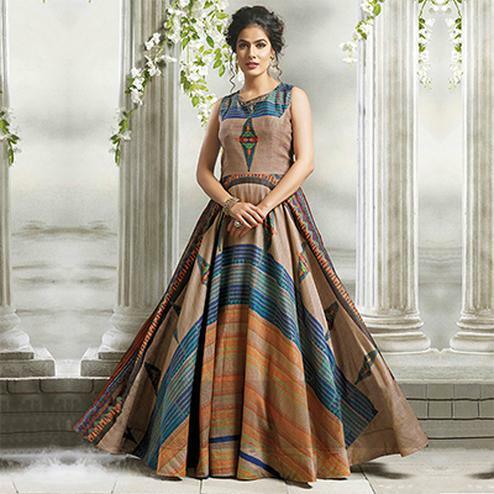 This fancy kurti is fashioned on heavy rayon fabric stylized with beautiful flare and unique cuts and pattern which makes this outfit more demanding among people. This stitched kurti is perfect to pick for weekend get-together, parties and events. Pair it up with churidar or legging to create a contrasting effect, along with heels & stylish accessories. This kurti is lightweight and soft towards skin which is easy to carry all day long. This attractive kurti will surely fetch you compliments for your rich sense of style.